No syncing. No installation on your mobile device. No data on your device to be lost or stolen! Works on any mobile device or web browser. View, edit and manage all of your contacts and accounts. Use Favorites for quick access. RedHorse Mobile is only $10 per user per month! Subscribe for a full year and get a discount! 15 Day Free Trial for all new subscriptions! 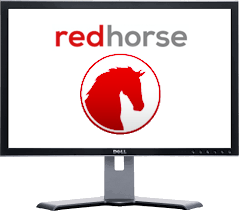 RedHorse Mobile is compatible with the Essential and Complete Editions of RedHorse CRM Versions 6.6 and higher. You must have a valid license for RedHorse CRM v6.6 or higher and be current on maintenance. RedHorse Mobile is a web application. It can be hosted on any Windows workstation (7 or higher) or server operating system (Server 2003 or higher) running IIS (Internet Information Services). You must have one RedHorse Mobile license for each named user that will be logging into the Mobile application. The mobile license user count may be less than or equal to the user count of RedHorse CRM windows version licenses.